Good Food Makes People (And Dogs) Happy! I have missed you much of late but then again, I always do. I love that this picture and one of Joy slurping a Starbucks puppy latte (whipped crème) comprises my Twitter page background @sherrifood. Chef Didier Durand’s motto is Good Food Makes People Happy, but I would take that one step further and include dogs as well. 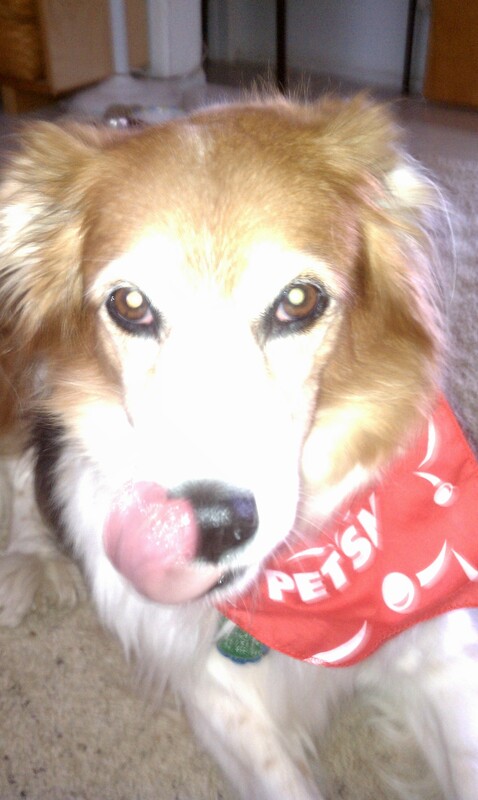 Joy certainly shares your passion for dining and I find it funny how some dogs I know are “picky” eaters! Really? There is such a thing? There are probably NO picky Border Collies! The fact that you both loved food so much and that I am a chef/restaurant publicist is amusing! Joy continues to live on in your princess slippers but I have to say that she likes to eat very healthy. She loves her veggies so much that I give them to her everyday at lunch. When we returned from the cruise it gave me pleasure to get back to my little routine of feeding her and Safari. Although breaks are nice, I actually like doting on fur kids and I think they like it too. I miss taking care of you as well. I hated when you were so sick and that cancer took you over the rainbow bridge but you are here everyday with me. By the way, our book (Letters to Each Other for those reading this the first time) recently sold some more copies and there are some new reviews on Goodreads! We always did work well together and even now that we have to work far away from each other it’s like I can reach out and touch you and many times I feel you doing just that too. Love you Bailey Girl. Joy Loves Her Puppy Lattes! It was so good to FINALLY hear from you! I had to tell you this little story. You know how everyone at Starbucks adored you? You loved the little red cups at Christmas time to drink your water in the car. And who loved Puppy Lattes MORE than you? Of course it was. He could have had any kind of dog with any name in the world, but it was a Sheltie in the same collie family and she shared your name. It could not have been a more perfect moment. You shared it with us because you are always omnipresent. Always. I feel you everywhere I am and I am glad you make your presence known in many different ways. That was the best Christmas present I could have been given. 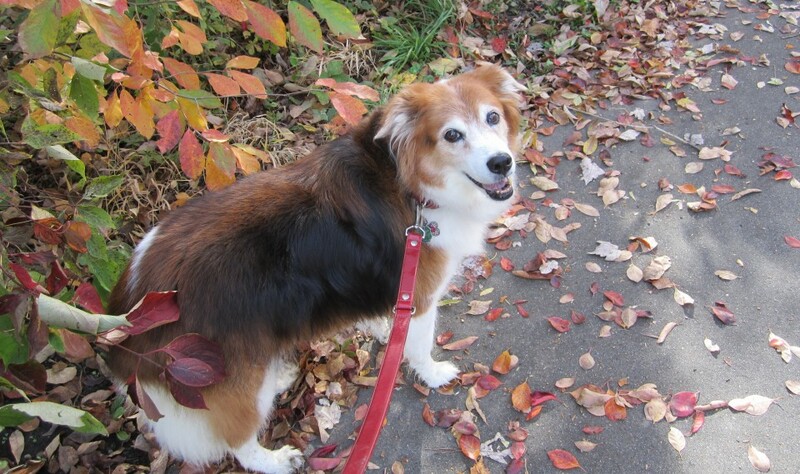 Thank you Bailey – you and the Sheltie…. PS: Two pics of you and two of Joy to show everyone in Hyfryd!! !